BRYAN EATON/Staff photo. Amesbury Middle School student Olivia Knowlton drops a ruler as former Boston Bruin Bob Sweeney tries to catch it while working on reflexes. 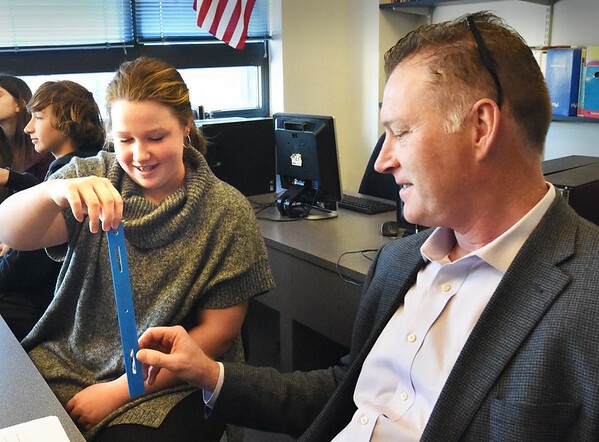 He was at the school for students enrolled in the Future Goals-Hockey Scholar program where he was available to answer questions that connect the game of hockey with what they're learning in the online STEM (science, technology, engineering and math) program.